Where to sit: Outside on the patio – quirkly floral table cloths, colorful Christmas lights year round, overgrown bushes, and lovingly worn deck! What’s not to love? What we drank: DRANKS! 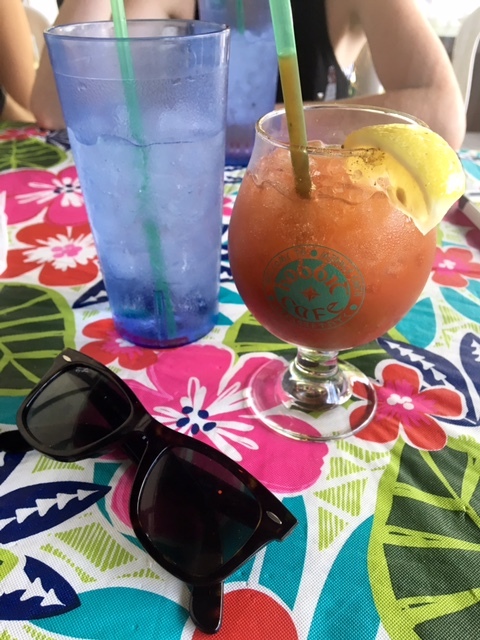 Bloody Mary for $3.75 – yes please! Blueberry Pankcakes – made with FRESH fruit!! We named them on our Best Veggie Burgers in Houston list! 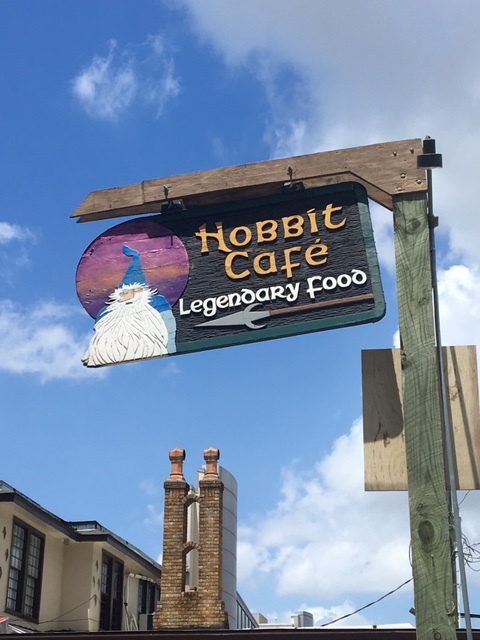 Tags: Brunch, Brunch Klub, Hobbit Cafe, hobbits, lord of the rings, portabella mushroom, Upper Kirby, vegetarian. Bookmark the permalink.